Mr. Pearson is a member of the firm's Corporate section. His practice focuses on corporate and securities law with an emphasis on business formation and planning, private securities offerings, mergers, stock/asset acquisitions, and contract drafting and negotiation. Mr. Pearson also represents several public companies in connection with regular SEC reporting requirements and other corporate matters. 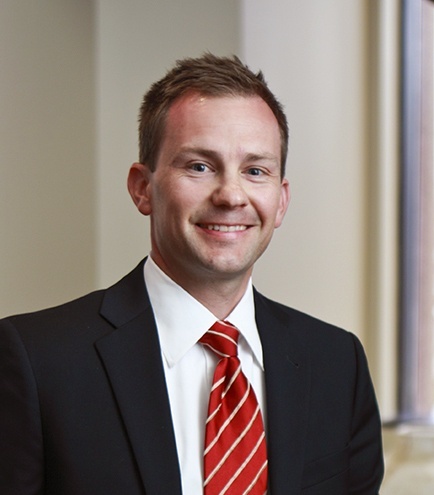 Mr. Pearson has been recognized by his peers as one of Utah's Up & Coming Legal Elite for corporate law. Regularly assists emerging growth and mature companies on a broad range of corporate finance and business transactions, including negotiating and drafting asset and stock purchase agreements, private securities offerings, and other debt and equity financing transactions. M&A practice includes assisting a wide variety of clients with all aspects of M&A transactions including diligence, drafting, negotiating and closing, with deal sizes ranging from tens of thousands to hundreds of millions. Regularly assists companies in the compliance work required by the Securities Exchange Act of 1934. Member of attorney team representing shareholders in the sale of stock of a gas station/convenience store business for approximately $500 million. Member of attorney team representing Deseret Management Corporation and Bonneville International Corporation (BIC) in BIC's sale of 17 radio stations to Hubbard Broadcasting, Inc. in a cash transaction of approximately $505 million. Member of attorney team representing public company purchaser in the purchase of equity of a surgical robotics company for approximately $100 million. Member of attorney team representing a heavy construction contractor in connection with the sale of an 80 percent ownership interest for approximately $65 million. Has represented several publicly-traded issuers in Private Investment in Public Equity (PIPE) transactions. Has performed significant amounts of due diligence for several large mergers and acquisitions.